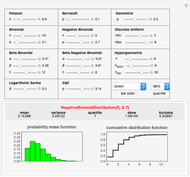 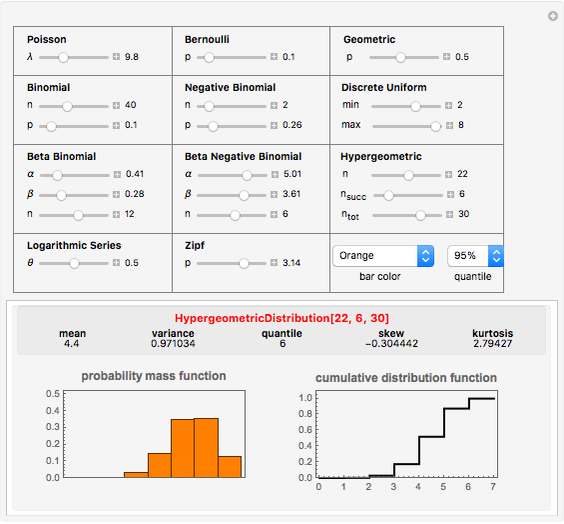 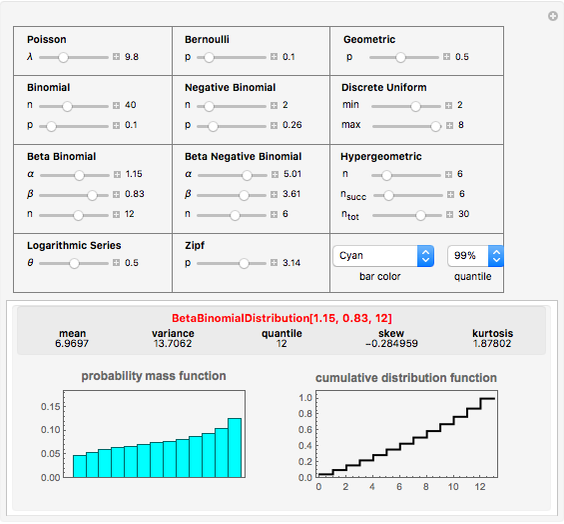 This Demonstration illustrates all supported discrete distributions in Mathematica 7. 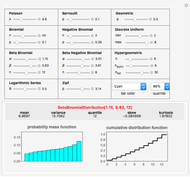 Plots that represent the PMF (probability mass function) and the CDF (cumulative distribution function) are generated for all supported Mathematica 7 discrete distributions. 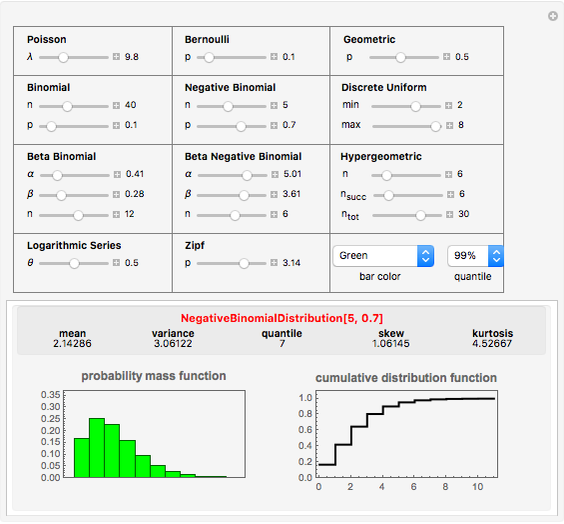 The plots are updated in the main display area as the user modifies the distribution parameters using the sliders. 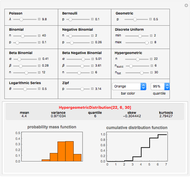 The Mathematica command used to generate the display and other statistics are also displayed.